3. The Ally menu, where you can ally yourself with other players and gain bonuses for both your progresses! 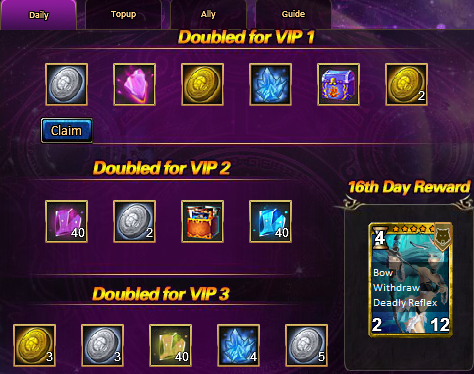 Just like the Daily Login Rewards, just login each day and click Claim. If you miss a day....you won't be able to obtain for the top-reward. If you're a VIP, you can grab even more rewards! Similar to the Daily Login, but instead of logging in, it's based on Gold recharges! But these are just a taster for the real prize...if you buy some Gold on 7 separate days (within the All Banner event time), you can claim the Legendary card prize. 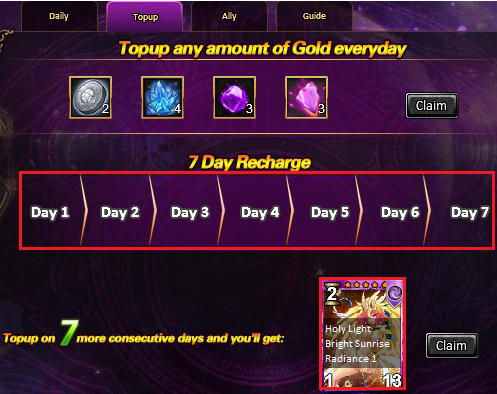 NOTE: You do NOT need to buy Gold 7 days in a row...just 7 days within the Ally Banner event time. 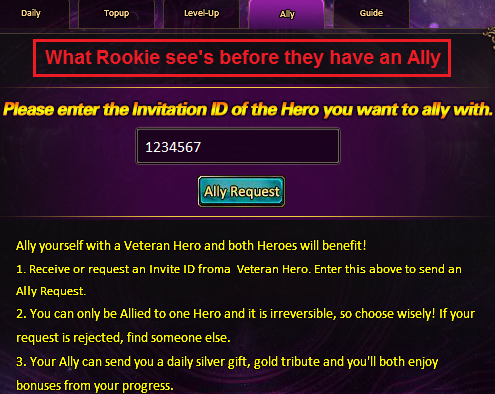 If the allied Veteran recharges Gold, 10% as a bonus or 'Tribute' will be sent to the Rookie player. If 7 'Tributes' are collected in 7 days, the Rookie player can claim a bonus card. 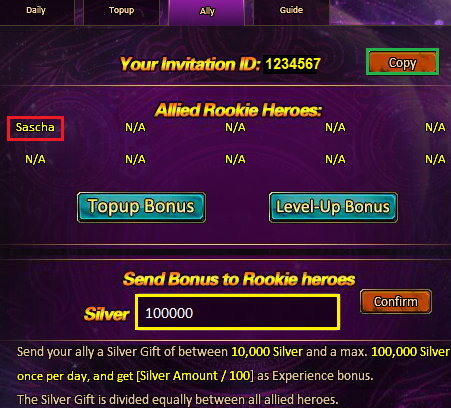 If an allied Rookie recharges Gold, 10% as a bonus Tribute will be sent to the Veteran player. 5.If the Veteran accepts, the 2 players are now allied.